James Perloff: Cece, I’m so delighted to have a chance to interview you. I should probably start by letting my readers know how I found out about you. The local paper in my town (Burlington, Mass.) had reported that Verizon was planning to build seven new wireless transmitters on utility poles in our neighborhoods. I wrote a letter opposing it to the newspaper and to the town selectmen. Then an “awake” person in Burlington, who had read my letter, alerted me that you would be speaking at the Burlington Public Library on October 16 about the hazards of wireless microwave radiation and how people can protect themselves from it. 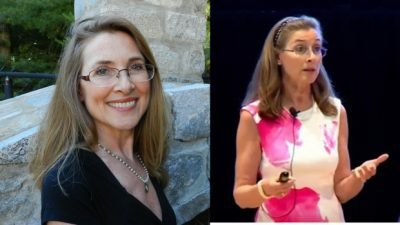 I attended; you gave an outstanding, science-based talk, and I’m going to embed it at the end of this interview so people can watch for themselves. Cece Doucette: Thanks, Jim, it’s an honor to do this interview with you. As you mention, another Burlington resident reached out to see if I could help educate about the risks of today’s wireless technology. She had been to a screening of the new film Generation Zapped earlier this year. It won Best Documentary at the D.C. Independent Film Festival and is a great way to learn about the health effects of wireless technology directly from leading world scientists, doctors, public health experts and patients. There wasn’t time to schedule in a screening of Generation Zapped at the Burlington Public Library as their sponsored films are set months in advance. So, I agreed to give a talk at the library instead. It was a pleasure to meet you there after reading your letter to the Burlington Small Cell Committee. JP: Please tell my readers a little about your background, and how you became an activist and educator on the hazards of wireless technologies. CD: I used to help lead our local education foundation in Ashland, Massachusetts. We kept hearing about the 21st Century Classroom and all the technology that would be needed. Our town doesn’t have budget for that, so I helped run seven campaigns to bring this technology into our schools, and much of it was wireless. Following that, I went to work directly for our schools as our district grant coordinator. In that role I helped secure many grants that also brought wireless technology into our classrooms. Then, at book group one night, a girlfriend who is an electrical engineer mentioned there could be something up with wireless technology and health. So, I asked our IT director about it, and he didn’t know anything but said he’d check it out. He came back and said the FCC says it’s fine. However, by that point I’d already begun my own investigation and found, literally, thousands of peer-reviewed published studies from all over the world showing wireless technology is biologically hazardous. I began sharing my findings with our school administrators and upon reading the legal fine print that comes with wireless devices, they started taking precautions. Little did we know at the time in 2014, Ashland became the first public school district in the U.S. to do so. CD: Indeed, the industry would prefer that we keep this issue on the fringe using terms like “tin foil hat conspiracy” so the public won’t take it seriously. Once you hear there is harm from wireless though, you can find the credible science very easily. All you have to do is look. The BioInitiative Report is a compendium of the studies, and shows what the harm is. If you’re more of an audio/visual learner, Generation Zapped allows you to hear directly from some of the world’s leading researchers, doctors and public health experts. JP: In fact, one of the things that impressed me during your live presentation was how professional it was. It was the sort of talk I would expect at a corporate executive briefing—and by that I don’t mean dull, I mean professional. You are in fact a tech writer by trade, are you not? CD: Thank you, Jim. Yes, I earned a Master of Technical and Professional Writing from Northeastern University, as well as a Bachelor’s degree in Communication. JP: When I was watching Generation Zapped, I asked myself why these scientists were willing to be so outspoken, and my own conclusion is this: the risk of harm from wireless radiation not only threatens humanity, these scientists know it threatens their own health and that of their families. And what’s that compared to perhaps a little ridicule from a few mercenary quarters of the media? No one wants to get sick, period. And that’s a consideration that overrides politics, theology, or anything else that might divide us. Microwave radiation doesn’t discriminate. CD: Indeed, our scientists take a significant risk in speaking out about the harm from wireless radiation as the industry has been known to makes large donations to their research institutions, and then their research labs are closed down if they report negative findings. However, many scientists have courageously banded together and authored international appeals to protect the public. More than 240 experts from around the world have submitted the International EMF Scientists Appeal to the United Nations, World Health Organization, and all its member states calling for public protections. JP: When people go online, and find reports that say wireless technology is harmless or “there is no evidence of harm,” they are normally looking at industry-sponsored studies, isn’t that correct? 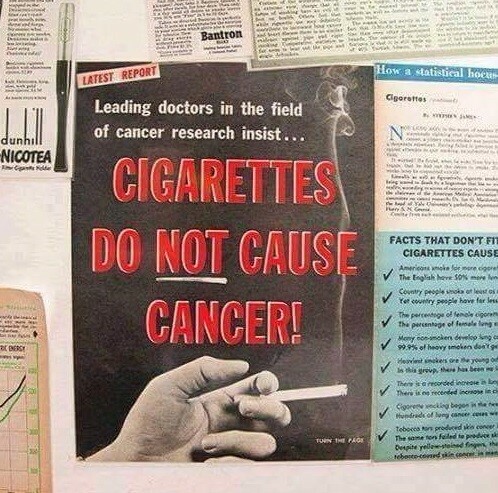 Not unlike the studies that the cigarette industry once funded saying there was no link between smoking and cancer. CD: That is correct. Harvard put out a report called Captured Agency: How the Federal Communications Commission is Dominated by the Industries it Presumably Regulates. In it they indicate the wireless industry has commandeered the FCC and is using the big tobacco playbook to suppress evidence of wireless harm while promoting their toxic products. JP: Actually, Cece, before we go any further, I’d like to define some of our terms: “microwave,” “electromagnetic field (EMF),” and “radiation,” because some people, myself included, feel challenged when trying to understand phenomena that are not visible to the naked eye. So, if you would, please define these terms on a lay level, and let us know if there is any distinction between the microwaves used by Wi-Fi and those used by microwave ovens. CD: I was initially confused too. All of our digital technology sends data packets back and forth using invisible microwave radiation signals. These are also known as radiofrequency radiation (RF) signals or electromagnetic fields (EMFs). With a microwave oven, you have very high power for a short amount of time. With today’s wireless technology, you have lower power but it’s pulsing all the time unless you know to turn it off when not in use. Otherwise every device, router, access point and cell tower sits there pulsing radiation at you whether you need to communicate with it or not. The science now shows that it is the nature of the signal that is harming us. Wireless antennas send a spiked, erratic pulse that is disrupting our own biological signals at billions of cycles per second. Over time, the cumulative effects add up, so it is best to reduce wireless exposures and choose hard-wired technology. JP: Now in your talk you referred to the vast number of peer-reviewed scientific studies that have documented the health issues being caused by wireless technologies. Could you give us a sampling of some of these health problems, and identify some of the major studies that have shed light on them? CD: In November 2018, the U.S. National Toxicology Program’s $30M study found clear evidence that wireless radiation causes tumors in the Schwann cells lining the hearts of male rats. They also found some evidence of brain tumors and DNA damage among other findings. Another large 2018 study at the Ramazzini Institute in Italy also reported similar cancer and DNA findings. This is just the tip of the iceberg though. Other studies link wireless radiation to infertility, autism, Alzheimer’s, neurotoxicity, genotoxicity and more. In the short-term, many adults and children experience symptoms that neither they nor their doctors have been educated to recognize as microwave sickness. This might include insomnia, headaches, nose/ear bleeds, dizziness, fainting, seizures, skin heating/rashes/tingling, nausea, anger, anxiety, depression, fatigue, cognitive impairment, suicidal ideation, addiction and more. JP: And it’s my understanding that even some insurance companies are starting to recognize these risks and refusing to insure against illness induced by Wi-Fi? CD: Yes, Lloyd’s of London, Swiss Re and others recognize wireless radiation as a leading risk and have put exclusions in their policies. The industry is not insured so they pass those liabilities onto the consumer in their fine print warnings, or onto our states and towns in the contracts they sign for equipment installations. JP: You have put together a huge online information repository so that people can readily access facts about wireless dangers. Would you please give us that link? JP: During your presentation, one of the things that jumped out at me—perhaps because I’m not a smartphone user—is that these devices don’t merely receive EMFs, they transmit EMFs. So it’s a two-edged sword—it’s not just the radiation people are absorbing from cell towers, it’s the devices that they carry on them. You mentioned that these phones usually have multiple transmitter antennae—can you identify some of these by function? CD: That’s right, our devices are two-way transmitters. They are sending out signals to make a handshake with the nearest cell tower or router, and are receiving data from those outside antennas. A cell phone has multiple antennas. There are separate ones for cell calls, data, Bluetooth, wi-fi, locator and by now a public hotspot antenna as the industry is using us as their network. Each independently pulses radiation all the time unless we know to turn them off when not in use. If we don’t, we risk harming ourselves by using and storing them on our bodies. In Generation Zapped, we see a woman who developed several different cancer tumors in the footprint of where she carried the cell phone in her bra for years. We also know our sperm counts as a nation are down 50%, and the science shows wireless radiation mutates the DNA of sperm, causes fewer sperm to be viable, and slows the motility of the sperm in just four hours. The American Cancer Society reports colon and rectal cancers are doubling and quadrupling among our young adults. JP: As a matter of fact, during my service as a registered nurse, I helped take care of a popular young man who died from a brain tumor, which originated right next to where he chronically held his cell phone on his job. And then, of course, the same thing happened to Senator Ted Kennedy, who came from our home state. CD: Yes, and Senator John McCain too. He died of a brain tumor on the left side of his head. He was left-handed and that’s where he held the cell phone to his head. He’d already had other types of tumors removed from that side of his neck and throat too. JP: Also, a certain small percentage of the public has developed personal sensitivity to EMFs, have they not? I think a medical analogy might be when an individual develops an allergic reaction to a particular antibiotic. Even though most people don’t get the same reaction, for that person it’s very real. And unfortunately, when people develop the symptoms of EMF sensitivity, they are often dismissed as imagining things and having a “psychological” problem. CD: It’s like where we were with Lyme Disease a decade ago. Doctors haven’t been trained on electrical sensitivities, so some will infer that it’s all in the patient’s mind when in fact it is caused by environmental triggers of wireless radiation. Environmental health doctors, however, are aware and treating patients for this. The American Academy of Environmental Medicine, in fact, put out a position statement to school superintendents indicating our schools should use hard-wired technology and not expose children to wireless radiation. Another group, Physicians for Safe Technology, offers A Clinical Approach to Electrohypersensitivity including insurance codes. See this. JP: There seems to be an assumption amongst the public that if a product is on the market, it must be safe. In the case of wireless devices, I was shocked to learn from you that the industry did only one very limited safety test. CD: There was no safety testing done. They used an untested theory that you must have heat from a device to have harm, and they simply put gel into a mannequin’s head to see how much heat it would take to raise the temperature of the gel. The FCC set the public radiation exposure limits based on that heat model, with no regard for the thousands of studies that show harm at the non-thermal level. They never tested their exposure limits to see if they cause biological harm. JP: I think we’d be remiss if we didn’t mention Smart Meters. What can you tell us about these devices? CD: These are digital devices replacing the mechanical analog devices we have at our homes and offices to measure consumption of electricity, gas, water and solar power. They have a wireless transmitter to capture usage data and send it off to the utility company, thereby eliminating the need to pay a meter-reader to walk the neighborhoods. While only one reading a month is needed for billing, the “smart” meters actually pulse radiation all day and night with no informed consent by the consumer. That can be very dangerous if someone is sleeping right on the other side of the wall, or if the utility company installs a bank of these on a multi-unit dwelling. The “smart” meters usually aren’t grounded either, so the radiation can hop onto the home’s electrical wiring and water pipes, in essence turning the home into a toxic radiation antenna. Some utility companies offer an opt-out so you can retain the safer analog meters, but others don’t. JP: You know, I get the impression that the word “smart” has been hit upon as a way to market wireless devices, similar to when, decades ago, Madison Avenue discovered they could sell products more easily by using the phrase “new and improved.” Naturally, everyone wants to be “smart.” But putting one’s health at risk is not smart at all. CD: No, it’s not, but marketing influences are very strong, so it’s up to each of us to learn about this and make truly smart choices for ourselves and our loved ones. JP: Now we have 5G being planned for, which is a radically different form of wireless, and yet—surprise, surprise—no safety testing has been done on it. Could you break down for us just what 5G is, and how they plan to implement it? CD: 5G means fifth generation technology. Even though the NTP and Ramazzini studies determined in 2018 that wireless causes cancer and DNA damage, the industry and the FCC are pushing hard and fast to put in toxic infrastructure throughout our towns for 5G and the Internet of Things (IoT). They’ve maximized profits in the portion of the electromagnetic radiation spectrum that carries 4G and the earlier generations’ data signals (2G, 3G). What’s left of the spectrum is poor quality short millimeter waves that can’t carry signals very far. So their solution is to put up more infrastructure for shorter data hops to connect to. That means more cell towers at closer range, every 2 to 12 houses, inside our neighborhoods, right on poles in the public access right of way outside our bedrooms. This will severely harm our children, making it very difficult to be able to focus at school. As happens to some when “smart” meters go in, many near these new 5G “small cell” installations may begin to experience headaches, insomnia, skin abnormalities, irregular heartbeats, nosebleeds, anxiety, depression, anger, cognitive impairment and more. The 5G little waves can’t go through buildings very well, so 5G will also incorporate the signals from the many cell towers and antennas we currently have for the earlier generations of technology. All so they can put toxic radiation antennas in everything you own and connect it to your phone: your appliances, games, baby diapers, etc., to gather your data and sell it to product manufacturers. The industry and FCC are pushing right now at the federal and state levels to take away home rule rights from our towns so they can force in this toxic infrastructure. They have already submitted applications for “small cell distributed antenna systems” in many of our communities, so it would behoove us to educate our towns quickly in hopes of establishing local by-laws to forbid any kind of wireless communication facility anywhere near our homes or schools. Your readers should feel free to share the pages from my research repository with their town leaders, who likely have no idea this is happening: For Municipal Leaders; 5G & IoT; Cell Towers. Once they learn, many begin to push back on industry as your town did in Burlington, Massachusetts. JP: OK, next I’d like to talk about what people can do to protect themselves, their families and their communities. Let’s start on a personal level—what can folks do right in their homes to reduce wireless risks? CD: I’d suggest folks get ahold of a wireless radiation detection meter; otherwise it’s easy to miss signals. In my home, we use hard-wired computers, mice and keyboards. Our printer is hard-wired too with an Ethernet cable, and we simply turn off the antennas in each device once we’re hooked up with Ethernet. We swapped out the DECT cordless phones for regular phones. We bought a TV that has an Ethernet jack, and hard-wired that too, then turned off the wireless signals in the settings. We figured out how to hard-wire my daughter’s iPhone too with an adapter. She was very excited to have the faster speeds, and was especially happy to realize that by using hard-wiring, it isn’t eating into her data plan – which we make her pay for out of pocket if she goes over her monthly allocation of minutes. JP: A friend of mine called my attention to a website called Antenna Search which enables people to locate cell towers and antennae that are in the proximity of any address. This could help people who, for example, are making decisions on buying a home. Any thoughts on this site? CD: Yes, it is a good resource to know what is near you. That said, there is no guarantee the industry won’t put up a new one near you, especially if the town allows 5G antennas to be put up inside our neighborhoods. So, it’s best to educate yourself and your town administrators on the risks of wireless. JP: When you gave your presentation, you had an Acoustimeter with you. Could you briefly explain what these are, and how they are useful? CD: The Acoustimeter is a wireless radiation detection device that shows with green/yellow/red light indicators what your levels of exposure are. I use it to ensure my home is as safe as I can make it, and to teach others with. JP: I have to admit, I had long resisted buying an Acoustimeter, partly because of the expense, and partly from resistance to having to learn how to use another tech device. But after your talk, I did purchase one. They can be on the expensive side—please tell us what Ashland has done to make these freely accessible. CD: It took me three tries, but eventually, after I educated our Selectmen and our Library Trustees on wireless risks, I was awarded a $400 grant by our town to put an Acoustimeter on loan in our public library for our residents to borrow. Our local cable station, WACA-TV, was kind to help me do a public service video to teach people how to use it to identify common exposures in our homes and suggestions for remediation. JP: That is such a great idea. And what is the Ashland public school system doing to help safeguard its students? CD: When our schools learned about the fine print warnings that come with each device and tell us not to use them on our bodies, we became the first in the nation to begin taking precautions. We have a sign hanging in our classrooms with guidance to turn off the wi-fi when not in use, to turn off the devices when not in use, and to never use a device on one’s body. Our administrators are waiting for higher authorities, however, to tell them to turn off the wi-fi and choose hard-wired connections instead. JP: It’s my understanding that the Massachusetts State Legislature now has as many as nine bills concerning wireless safety under consideration, and that you’ve played a role in generating some of them. Please tell us about some of these bills, and how they came about, because I think it would be an inspiration to some of my readers. CD: When I realized our schools were not actually turning off the wireless and that the children are still exposed, I met with my State Senator Karen Spilka. I educated her and measured her cell phone and her district director’s laptop. Both devices went off the charts with radiation exposure. Senator Spilka introduced a bill on my behalf to form a commission to get the right bright minds together at the state level to address wireless radiation and public health. Others around the state have done the same and we have bills to give people a choice for safer utility meters, provide safe technology in schools, raise the fine print and give the public the right to know wireless is hazardous at the point of sale, label wireless products with warnings, train our medical community, and protect the public from high voltage power lines (another form of toxic man-made radiation). Your readers can see the bills here, and perhaps share them with their own legislators to emulate. Residents are working with their legislators on proactive bills in Michigan, Maryland and New Hampshire too, so others should be encouraged to follow suit. JP: Cece, I’d like to mention a recent victory we had over a wireless threat in my own hometown, something you and I both contributed something to. It’s an example of how local action and networking can succeed. As I mentioned at the top, our local paper had reported Verizon was planning to build seven new wireless transmitters in our neighborhoods. This seemed to be moving us in the direction of 5G. One was slated to go up just a couple of blocks from my home, right by a preschool. I wrote a letter opposing it to the newspaper and to the town selectmen. Then an “awake” person in Burlington, who had read my letter, alerted me that you would be speaking at the town library on the hazards of microwave radiation. I attended, and so did one of the town selectmen. On the following Monday, the selectmen met to decide on the proposal; Verizon had their attorney there. The selectmen announced they had just received what amounted to an ultimatum from the FCC, basically ordering them to accept the transmitters. Cece, the telecommunications industry is using this law as a gun to the head of local governments, forcing them to accept wireless installations regardless of any safety concerns, just so long as the installations conform to the standards of 1996. That was back when cell phones were “2G.” But as we know, wireless technology has vastly evolved since 1996, and thousands of new studies have documented the harm being done by wireless. Clearly, the safety standards of 1996 are an outdated dinosaur. Would you comment? CD: I agree. In 2012 the U.S. Government Accountability Office instructed the FCC to “formally reassess the current RF energy exposure limit, including its effects on human health.” Although hundreds of expert testimonies were submitted, the FCC has failed to respond. We need to be calling and/or writing to our federal legislators to let them know that is not okay, and remind them it is their duty to protect public health over corporate profits. Connecticut’s Senator Blumenthal recently asked the FCC to substantiate their claim that 5G is safe, and we should encourage each of our legislators to do the same: provide the studies they say indicate wireless radiation is safe. JP: Getting back to what happened in my hometown, Verizon’s attorney spoke. Then the public was heard. The only citizens at the meeting who spoke against the proposal were myself and this one other “awake” person. After we commented, we shook our heads and looked down, as we were sure we had no chance against Verizon. However, the selectmen informed the attorney that they would comply and accept the transmitters provided Verizon met certain conditions, such as annual recertification of the devices. The Verizon attorney then said he had no choice but to withdraw the proposal. Apparently he didn’t want a precedent set where Verizon could be regulated by a town. Now, I wouldn’t be surprised if at some point Verizon returns with the proposal, perhaps armed with some ruling that the town’s actions were illegal—but in the meantime we were rejoicing; we literally hugged the selectman who stymied Verizon. I think the selectman who attended your talk had gotten the word out. I hope I haven’t misrepresented anything, so I’m going to link to a local article about the meeting. CD: That is a great example of how civic involvement is important. I suspect the Selectmen had already drafted their small cell policy before I spoke at the library since they had been meeting on this for the better part of a year, but perhaps they also benefited by learning from my talk what the biological risks are. JP: Well, in any event, I think the make-break point here was that our local officials had become educated about wireless hazards. You found this to be vital in your own dealings with the Massachusetts legislature, did you not? CD: I did. The industry has been so effective at promoting the benefits of technology and suppressing evidence of harm, that it is not reasonable to expect that anyone would know there are serious risks. So, it takes education to bring them up to speed before we can expect them to take action to protect their constituents. When the Massachusetts Joint Committee on Consumer Protection and Professional Licensure learned about this issue, they assigned a research analyst to investigate. After reading the published science showing biological effects, they wrote their own bill in April to address wireless radiation. JP: Looking at this more globally, I learned from your presentation that the European Parliament is taking these issues very seriously. CD: Yes, the film Generation Zapped indicates this too. Several countries are way ahead of us on this issue. France has a national law banning wireless around small children, and in the upper grades, the default is that wireless is turned off except when needed. Cell phones are banned from schools. The Mediterranean country of Cyprus has issued an EMF Declaration with a 16-point fact sheet to educate and protect the public. JP: And you also mentioned that India has reduced the limits on EMFs astronomically below the levels allowable in the U.S.
CD: Yes, their limits used to be where ours still are in the U.S., and they have set new limits with a 90% reduction. JP: Would you say that American citizens should be urging their representatives in Congress to revise the 1996 Telecommunications Act, so that it conforms to current scientific safety research? CD: Definitely. There is a government website that makes it easy to contact your elected officials at all levels: local, state and federal. A simple phone call by many can make a difference as the offices log in how many calls they are getting on different issues and respond accordingly. JP: Another encouraging thing I learned from your talk is that in 2018 the United States Conference of Mayors issued a statement strongly opposing the FCC’s allowing the telecommunications industry to intrude on the rights of local government. CD: That’s true. The FCC and industry are trying to take away local home rule rights from our towns so they can force in toxic infrastructure for 5G. They are also looking to low-ball our towns with a cap on how much a municipality can charge the industry for rental space to put up the antennas. As municipalities catch on, they are fighting back as the Conference of Mayors did. JP: Earlier you mentioned a Harvard study called “Captured Agency” that documented how the FCC is dominated by the telecommunications industry. As a medical professional, it reminds me of the CDC and FDA, some of whose top personnel have had “revolving door” relationships with Big Pharma corporations. CD: Unfortunately, that is true. The Environmental Health Trust has documentation that shows the CDC and FDA have acted in less than honorable fashion with wireless radiation too. JP: Before we wrap up, Cece, any last thoughts? CD: We are fortunate to have quick ways today to come up to speed on this issue. Folks can now purchase Generation Zapped on-line, and the non-profit Wireless Education has half-hour on-line training courses that quickly distill the science, risks, what other countries are doing, and medically recommended best practices for safe technology use. There is a Schools & Families Course, as well as a Corporate Induction Safety Course. Each provides a handy tip sheet at the end, and are ready to train entire schools and workforces for a small licensing fee to help cover overhead expenses. I recommend folks get educated, then educate loved ones and colleagues before going to public servants for policy changes. If you go it alone, you may be easily dismissed. A group of well-informed citizens, however, can help bring important change. JP: How can people best get in touch with you? CD: Via email at [email protected]. JP: Cece, I want to thank you for a very informative interview, and for the time you generously gave me. It’s been a delight to speak with you. CD: You’re very welcome, Jim; thank you for learning about the risks of wireless radiation and encouraging others to do the same. I realize this issue will be new to many of your readers, but I hope they won’t take too long before investigating and taking action. We are all at risk of serious harm from wireless radiation and the sooner we use our voices for change, the safer our world will be for our children and theirs. This was originally published on James Perloff.